A glass staircase is very stylish and fits in with every office or business space; be it clear, leavened, sandblasted or coloured. 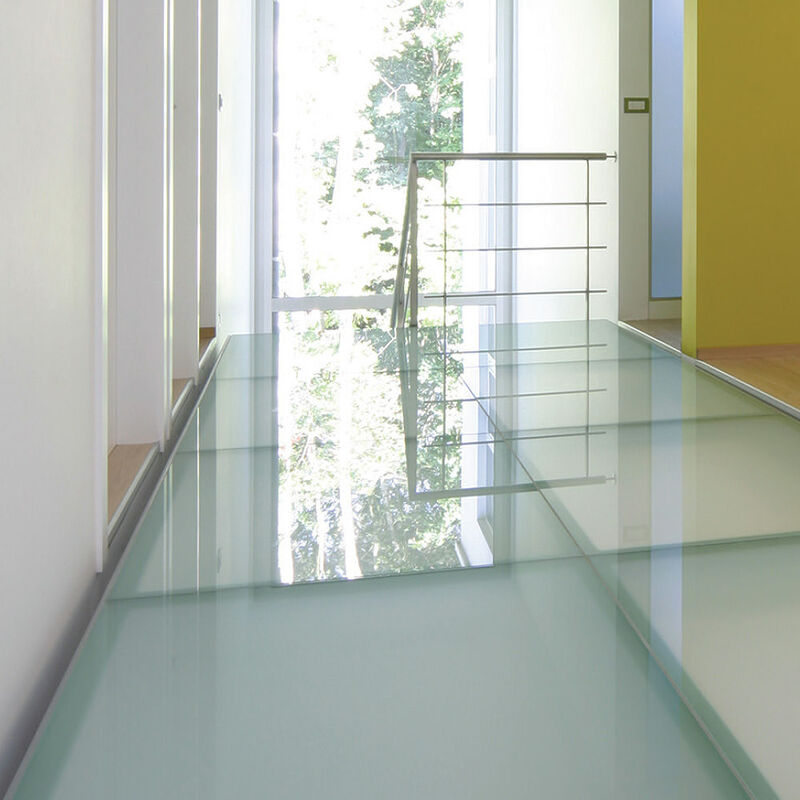 However, just like in case of other types of floor glazing, glass steps should meet certain requirements: in should be thick enough and fitted with safety film. Moreover, safety glass is also available in an anti-slip design.